This needs no introduction that YouTube is one such platform which is a great resource to learn anything and everything that comes to your mind. It has been entertaining and educating people for years. 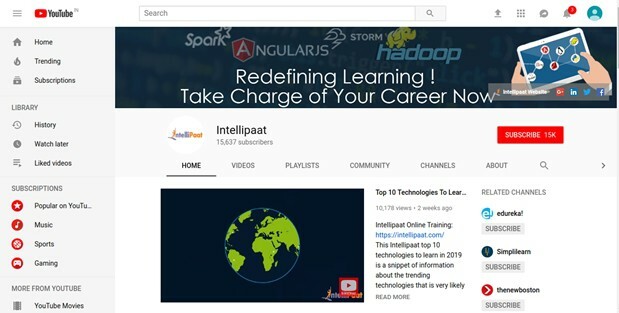 Irrespective of whether you are a naive or an expert, you can find amazing videos and tutorials to learn Big Data from beginner to advanced levels. 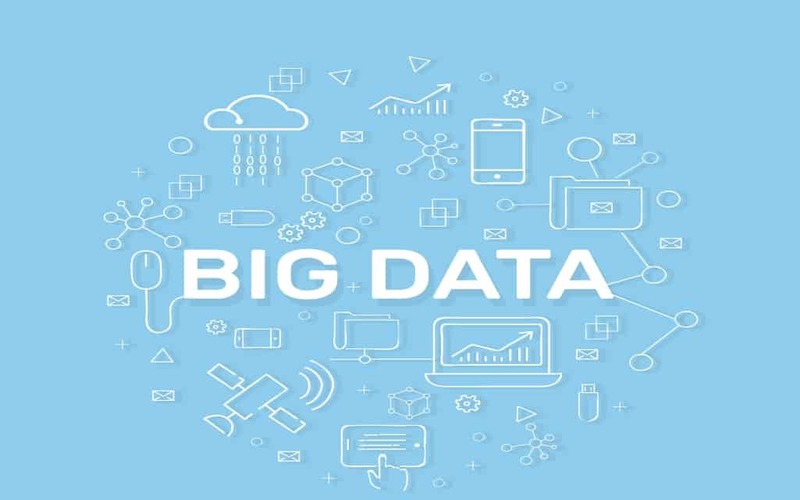 Whether you want to expand your knowledge or you are entirely new to the field of big data, whether you just have 2 minutes or 2 hours, YouTube has got everything to offer you on and about Big Data. 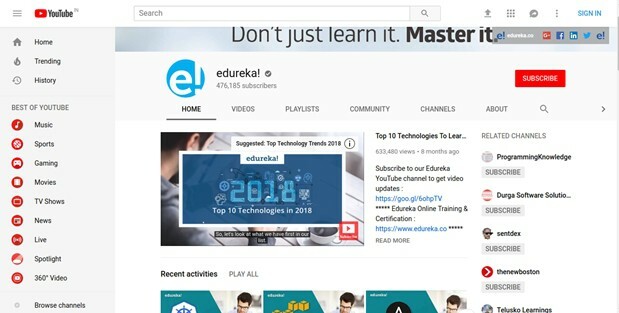 Edureka is a YouTube channel which offers instructor-led courses and high-quality videos on trending topics which include Big Data, Hadoop, AI, Blockchain, Python, Data Science, and more. It also provides real-life project scenarios evaluated and designed by industry experts. 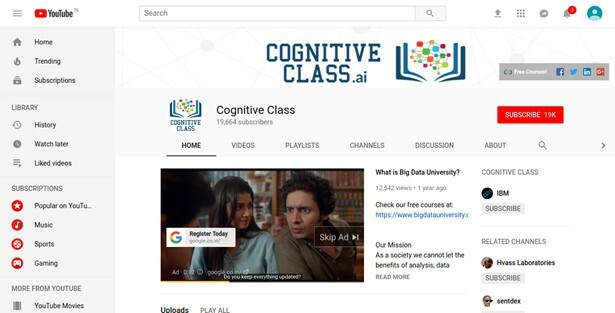 Cognito Class is a Canada-based YouTube channel to learn Big Data and Hadoop. It is not like any other online training site. Its content is absolutely free, access to tool sets which are used within the course are also free. Moreover, their courses have been designed to be accessed based upon your priorities and pace. Itversity is a free one-stop shop, wherein, you can learn all the tips and techniques pertaining to the Big Data ecosystem. Their videos include everything the context of Big Data which include Hadoop, Sqoop, Hive, Cassandra, Pig, Linux, Oracle, Teradata, MySQL, Aster, and more. 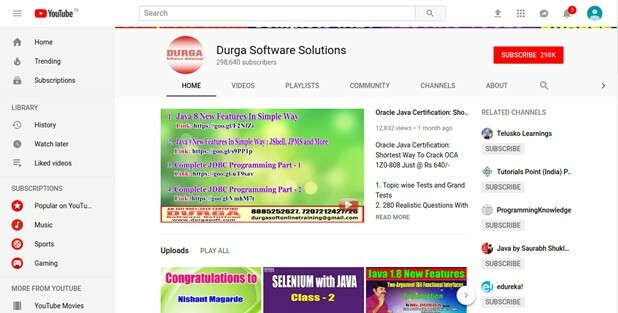 Durga Software Solutions is an institute and a YouTube channel based in India. It is the best place to learn not just Big Data and Hadoop but also things like Java, Python, Data Science, Blockchain, PHP, and more. Intellipaat is a global online professional training provider. It offers industry-designed certification training programs including courses in Data Science, Big Data, AI, and other top trending technologies. I hope this curation helps! I believe that with the right guidance you can surely master your skills in Big Data and other technologies. These channels have got everything that you need to learn about Big Data and become pro with it. Let me know any other best YouTube channels in the comments section below that I have missed out. If you want to know about some really good tools based on Big Data, then click here.